Films are different from books. Not much of an insight I know, but it’s a small yet crucial distinction that seems to escape a lot of directors, Chris Columbus chief amongst them. 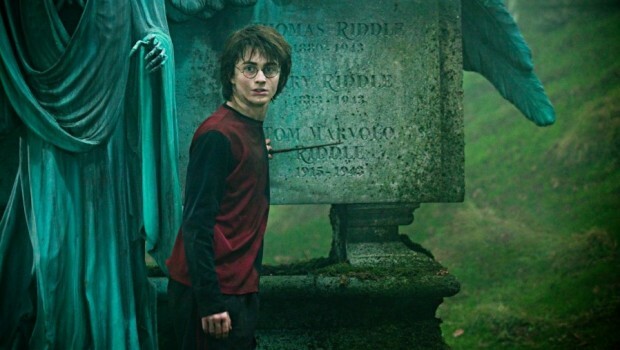 Blindly filming what’s on the page can lead to a faithful but plodding adaptation, which is precisely what we got with the first two Harry Potter films. By knowing exactly what to keep and what to excise, Alfonso Cuaron gave the franchise a much needed wand up the arse with his infinitely more cinematic Azkaban. Now, with the mammoth Goblet of Fire, Mike Newell has clearly realised that he needed a great deal of judicious trimming if he didn’t want a six hour film on his hands. Unfortunately, what we’re left with is choppy and ill-defined, at once bloated and undernourished. There’s no messing about this time with the Dursleys and we’re straight into the Quidditch World Cup. Not that we get to see any of the matches, as this serves only as a location for the first appearance of the Death Eaters, the servants of the dark lord Voldemort, and the first signs that his power is on the rise again. The bulk of the action concerns the Tri-Wizard Tournament, a legendary event that is to take place at Hogwart’s in which three competitors from rival wizardry schools battle for eternal glory. Being only fourteen, Harry is too young to be allowed to enter. But when his name is unexpectedly pulled from the Goblet of Fire, he is forced not only to compete in the dangerous tasks, but also to try and discover who put his name forward and why. The primary coloured frippery of Columbus’ efforts are a distant memory, as Newell takes Cuaron’s grimy lead and slaps on an extra layer of mud and shadow. This is by no means a bad thing, as the fusty interiors combined with the glorious locations and breathtakingly rendered CG exteriors serve to create a beautifully realised world full of magic and dark mystery. And yet Goblet of Fire is curiously stodgy, with a distinct lack of energy and focus. Worse still, it’s downright dull in stretches. As the midway point in an eventual septilogy (of course it’s a word), it’s maybe understandable that there’s no real beginning or ending but, as a film in its own right, the concern is that it’s virtually plotless. Thankfully we have the increasingly interesting characters and their interactions to provide the bulk of the entertainment. Jealousies and squabbles are beginning to rise between Harry, Ron and Hermione, and Radcliffe, Grint and Watson are all tremendous. It’s in the quieter character scenes that they and the film shine, rather than the visually stunning but uninvolving action sequences. The wonderful adult actors who were the saving grace of the early films slip further and further into the background, with Smith and Rickman barely getting a couple of scenes between them. Gambon has plenty to do and he’s fine, even if his Dumbledore has developed a curious Irish twang. Only Gleeson gets to make a proper impression and, as the deliciously deranged Professor ‘Mad-Eye’ Moody, the new Dark Arts teacher, he’s by far the best thing in the film. As a bridge to events to come, The Goblet of Fire may yet prove to be a worthy instalment, but as a stand alone film it’s unfortunately a backwards step.